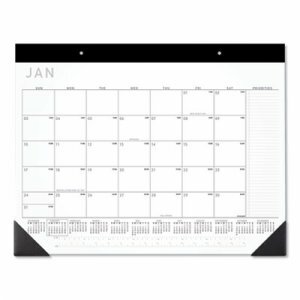 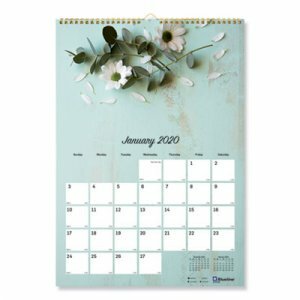 Dreams wall calendar features a subtle, ghosted flower design on each page in soft, muted colors. 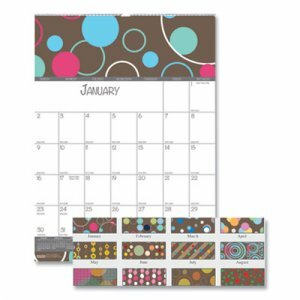 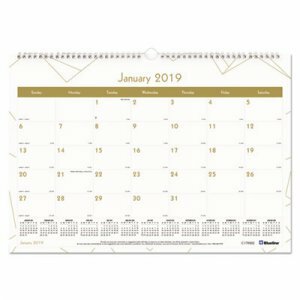 12-month date range runs January - December with Julian dates for a full year of monthly planning. 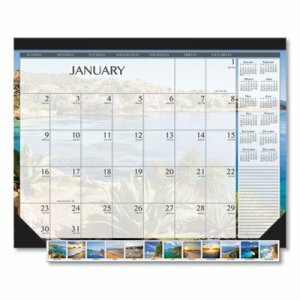 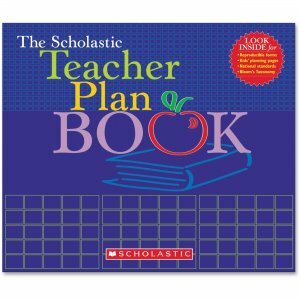 One month per page format is clear and easy to follow for big picture planning. 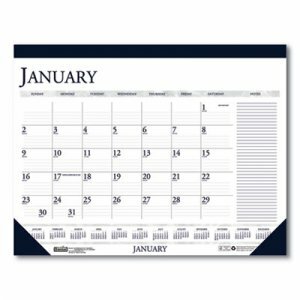 Weeks runs Sunday - Saturday with holidays marked. 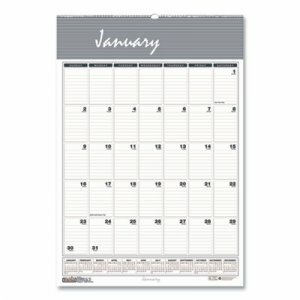 Daily blocks are ruled to keep notes and reminders neat and easy to read. 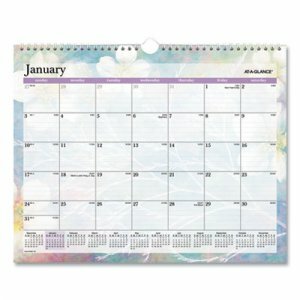 Full year calendar reference runs across the bottom of each monthly page for easy date checking. 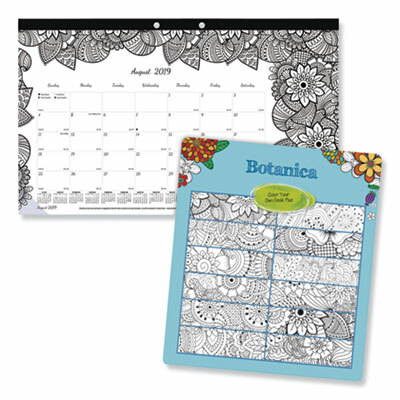 Dreams design rotates quarterly for a fresh look.